Young adults with Autism Spectrum Disorder (ASD) are at a higher risk for depression, according to a new study published in JAMA Network Open. The study, conducted by researchers at the University of Bristol, investigated the issue through the use of population-based methods. Data was gathered from The Stockholm Youth Cohort, a record that “includes all children and young people (age range, 0-17 years) who were ever residents in Stockholm County, Sweden, between January 2001 and December 2011” (Rai et al., 2018). 223,842 participants were followed until reaching 27 years of age. 4,073 individuals were diagnosed with ASD. 2,927 ASD youths had no intellectual disability, compared to 1,146 youths who did. From the data, researchers ascertained that ASD youth were at a nearly two-fold risk of being diagnosed with depression compared to the general population. Individuals who had no intellectual disability often had higher rates of depression, leaving researchers to reason those who had no impacted cognitive function had higher self-awareness of their ASD, which further magnified social issues. In Tony Attwood’s and Michelle Garnett’s book, Exploring Depression and Beating the Blues: A CBT Self-Guide to Understanding and Coping with Depression in Asperger’s Syndrome, both authors seek to help ASD individuals “…increase self-awareness, identify personal triggers, and provide all the tools needed to combat depression and suicidal thought,” (Why Does Someone with Asperger’s Syndrome Become Depressed?, 2016). The opening chapter lays out several causes, which stem from a combination of social deficits and a predisposition to experience emotions and sensory information more intensely than “neurotypicals,” or people without ASD. The feelings of social isolation and loneliness that occur due to the inability to socialize effectively with others, and to an extent, not being able to recognize warning signs of depression in themselves were some of the key points Attwood and Garnett made in the first chapter. One of the more poignant observations the authors make is the presence of “depression attacks” in ASD adults and teens. These sudden feelings of immense despair can overwhelm a person after what appears to be a trivial event, such as making a small mistake in a conversation. 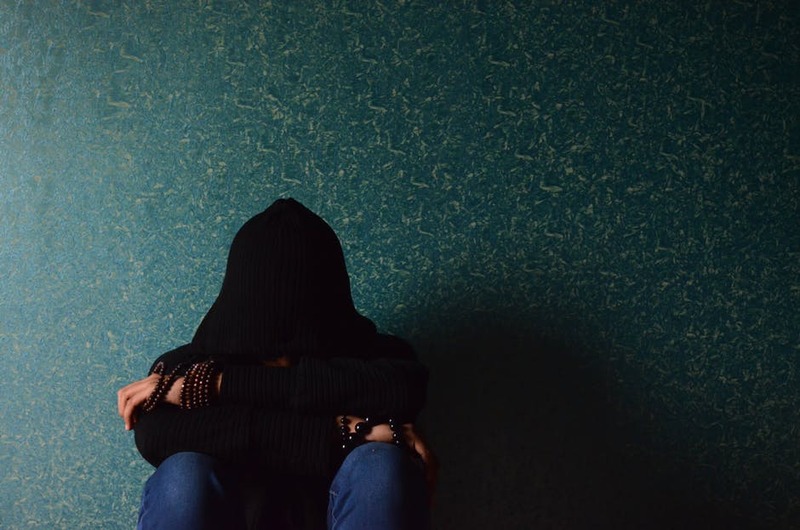 To outsiders, these feelings appear unprovoked, but for the ASD adult or teen, these attacks are the result of continuously internalizing negative feelings over a period of time. Attwood and Garnett liken it to a “cap no longer being able to fit over the bottle.” Under pressure, the cap will fly off a bottle. Similarly, these depression attacks can cause ASD individuals to make impulsive decisions that could end their lives. With thoughts of suicide occuring at a rate of 66 per cent in those with ASD, in contrast to the general population’s rate of 16 per cent, (Attwood & Garnett, 2016), the authors make their purpose clear: people with ASD need access to resources that will allow them to mitigate feelings of isolation, and know when to turn to others for help. Rai’s study itself is a first of its kind, as previous ones focused more on pediatric populations, disregarding difficulties ASD youth face in adulthood. While the question of whether ASD and other comorbidities such as depression have shared genetics is not new, there is a lacking amount of literature that explores this issue on a large scale. Rai and colleagues acknowledge that only one other study exists that uses a large population-based sample size, and even then, the study does not differentiate between “higher-functioning” and “lower-functioning” individuals. However, this study presents even more broad findings. The abstract reads, “[adults] with autism had significantly increased rates of all major psychiatric disorders including depression, anxiety, bipolar disorder, obsessive-compulsive disorder, schizophrenia, and suicide attempts. Nearly all medical conditions were significantly more common in adults with autism, including immune conditions, gastrointestinal and sleep disorders, seizure, obesity, dyslipidemia, hypertension, and diabetes. Rarer conditions, such as stroke and Parkinson’s disease, were also significantly more common among adults with autism,” (Croen et al., 2015). These findings create even more need for research into how autism interacts with other mental and medical disorders, as the implications behind it reveal the ASD population might be even more vulnerable to comorbidities than before. Another interesting component of Rai’s study was its use of “nested sibling comparison,” a statistical method that compares the rates of depression in ASD subjects against their full- or half-siblings. It was found that siblings of individuals with autism often had increased rates of depression as well. However, these rates were not as high as for those with ASD. The cause of this is unknown, but it likely points to environmental factors playing more of a role than genetics. Rai and colleagues theorize that siblings of people with ASD may have higher rates of depression due to receiving less attention than their sibling, other stressors or disorder in the household, or may receive greater parental monitoring due to their sibling’s diagnosis. Because full-siblings of ASD participants share 50 percent of their genetic information, and half-siblings 25 percent, rates of depression would be similar in these groups. ASD adults would have the highest, followed by full-siblings, and then half-siblings. The main analysis was created when looking at data from individuals between the ages of 18 to 27 years. 808 (19.8 percent) ASD adults had received a depression diagnosis, compared to 13,114 (6.0 percent) of the population without ASD. There was also an overrepresentation of depressed ASD adults who had no intellectual disability. However, the authors admit that adults with intellectual disabilities may have a harder time verbalizing their feelings, which makes it hard for clinicians to give a positive diagnosis, a phenomenon known as “diagnostic overshadowing” (Rai et al., 2018). Janice Goldschmidt questions the current pedagogy of how doctors diagnose patients. When doctors rely on patients to report symptoms, she states rightly that it ignores nonverbal patients with autism. The under-diagnosis of comorbidities must then be even higher than what studies have found. This study presents a move in the right direction for the treatment and management of individuals with ASD. Despite the increased recognition of autism, there is little information available about the outcomes or service needs of ASD adults. The authors conclude that late diagnosis can contribute to the onset of depression, as people who receive a late diagnosis are often targets of bullying, exclusion, and are prone to feelings of isolation and feeling different. Providing management for comorbidities like depression can lead to a prevention of feelings of stress and suicidal ideation, and bring professionals closer to providing relevant health, educational, and social services to ASD populations.